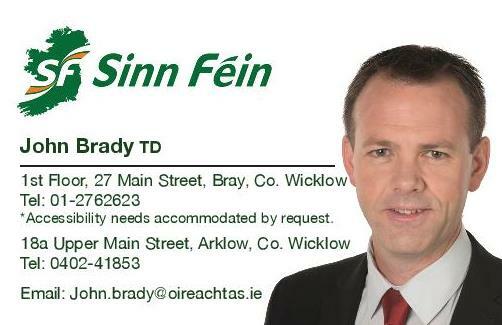 Sinn Féin TD for Wicklow/East Carlow John Brady has commended the huge crowd that attended the public meeting around the sale of Ardmore Studios last night. “The huge turnout at the public meeting last night is testament to the huge regard that the people of Wicklow hold on Ardmore Studios’ place in our community. “Those in attendance particularly, the staff, who organised the meeting, voiced their outrage at the mixed messages coming from the Government. “Indeed, almost four months after the announcement that Ardmore Studios is to be sold as a going concern, we are yet to hear a coherent voice from Government as to their intentions around the State’s share of 32%. “The current uncertainty around the sale of Ardmore Studios is not only impacting on the staff but it is impeding on further productions taking place at Ardmore. “The Ministers with responsibility for Ardmore Studios Ministers Humphreys and Mitchell O’Connor are on two different wavelengths when it comes to the State’s shares in Ardmore Studios. This is not good enough. “The Government must exercise their right to veto any sale of the 68% shareholding that is not in the interest of Ardmore Studios in Bray as outlined in the articles of association. That was a message that was made loud and clear last night. 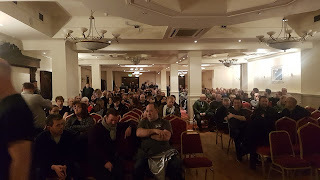 “The clear message coming out of the public meeting last night is that the Government cannot continue as silent partners, we need clarity as to the Government’s intentions with the State’s share and we need an absolute commitment that no sale of Ardmore Studios will go ahead unless it is in the interest of Ardmore Studios in Bray. “The Taoiseach’s commitment to Ireland being a global hub for TV and film production is well and good however, when it comes to actually taking action to ensure this, talk from the Taoiseach is cheap.